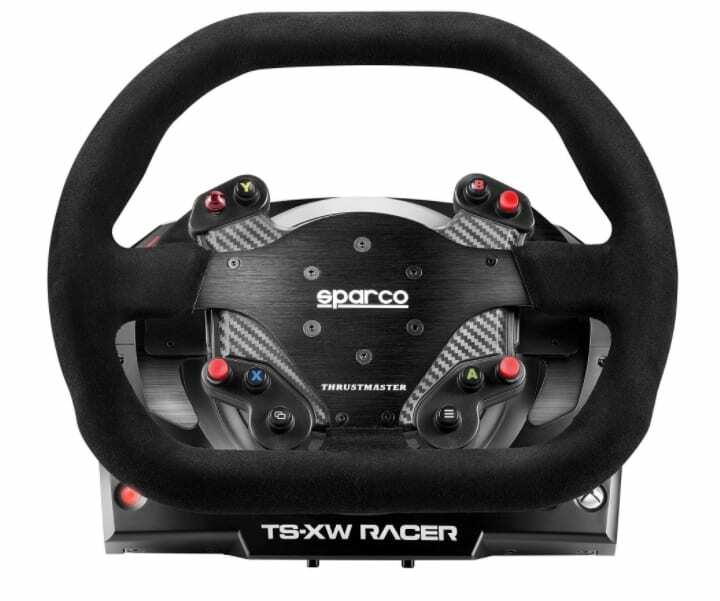 The TS-XW Racer is a 1:1 scale replica of the Sparco P310 Competition wheel, and is officially licensed for both Xbox One and Windows (PC). The wheel employs force feedback via a powerful 40-watt brushless Servomotor for constant performance even with intensive use during the longest competitions. The wheel incorporates a dual belt-pulley system, along with an axle Mounted on metal ball-bearing for extremely smooth performance. The TS-XW Racer features a toroidal-shaped Turbo Power supply with a finless design, for optimized power efficiency of 86% (compared with 65% for standard finned power supplies).